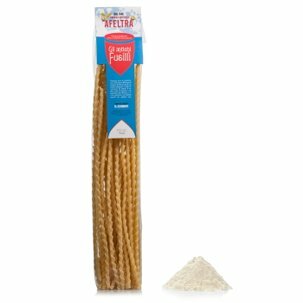 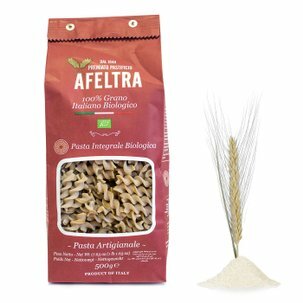 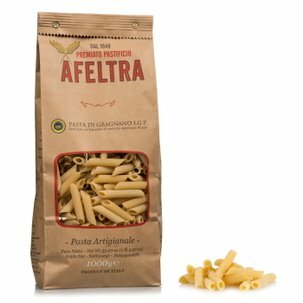 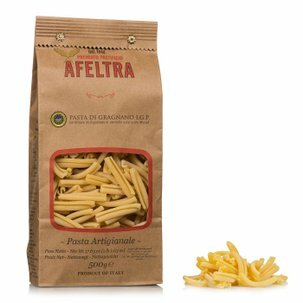 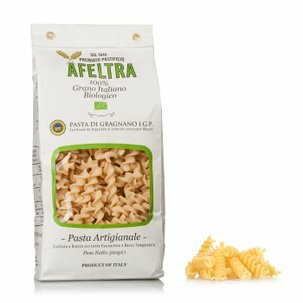 The Mafalde Lunghe from Afeltra are made using a dough obtained from the best durum wheat semolina, mixed with the exclusive water from Gragnano. 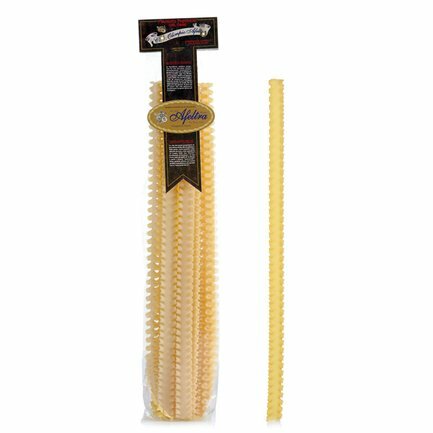 Dedicated to the Princess Mafalda of Savoia, these were called the Fettuccelle Ricche in Naples: their typical wavy format brings out the best in any condiment. Try them together with flavourful sauces and serve the authentic flavour of traditional pasta.